Confessing your love, proposing, remembering a special anniversary or just telling that special someone "I love you”. Old superstition believes that the gift of one-hundred roses signifies a devoted love that will last one-hundred years. 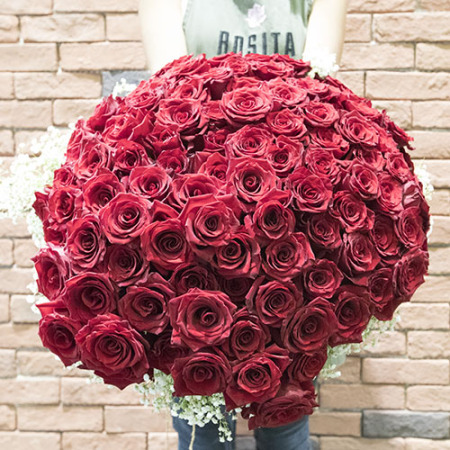 Make the ultimate romantic gesture with our 100 red roses, this gift is both timeless and classic for all occasions.